I recently took a trip to New York City and other than losing my soul in this concrete jungle, I was also really impressed by the use of technology in all aspects of the city – from Wifi in the underground trains to the successful use of augmented reality apps at tourist attractions and museums. This got me thinking – if augmented reality can be used to teach tourists about a city, why aren’t we using it in the office to improve employee performance and skills? Augmented reality (AR) is a live direct or indirect view of a physical, real-world environment whose elements are supplemented by computer-generated sensory input such as sound, video, graphics or GPS data. So basically you can stand on 5th Avenue and point your augmented reality enabled device at the Empire State Building and your AR app will search the internet for relevant information and serve up everything you ever wanted to know about New York’s legendary skyscraper. Why use augmented reality in the classroom or a workshop? 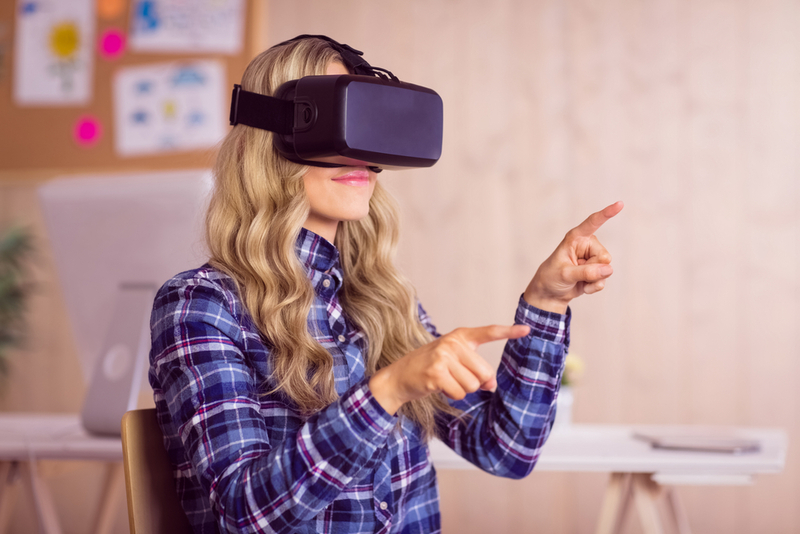 AR moves learners away from memorisation and cramming work to immersing themselves into real-life situations or scenarios. AR encourages on-demand learning which is vital and a growing culture in today’s workplace. AR allows our learning material to become bite-sized and can be used to reinforce lengthier training material. AR allows the learner to practice in “reality” without the worry of failure. This is especially useful in industries such as medicine. AR creates a safe environment for a medical student to learn how to perform a certain procedure without putting a patient at risk. Use QR codes in your training guides. Learners scan the QR code and are able to view videos, text or motion graphics which provide more information or explain a specific concept or process. Bring your induction to life by setting up images of the team on a wall near the entrance and get your new employees to scan the images of the team and see the figures come to life, telling more about him or herself. Place triggers (images that activate media when scanned by an AR-enabled device) all around a science laboratory or factory work-space so that when learners scan them, they can quickly learn the different safety procedures and protocols for the lab equipment or machinery. AR creates active learning experiences and is a transformative tool used for teaching and learning. AR has the potential to enable learners to see the world around them in new ways and engage with realistic issues. This entry was posted in Augmented Reality, Blog, Development, eLearning, eLearning development, Instructional Design, Learning and tagged AR, Augmented learning, Augmented Reality, development, education, eLearning, engagement, instructional design, Instructional design tool, learning, Learning environment, learning experiences. Bookmark the permalink.